El Hierro’s best assets are its diverse landscapes and scenery, but the island also houses a multitude of interesting spots to soak up culture and running traditions. Declared as a UNESCO Biosphere Reserve, expect to witness harmony between human and nature in the smallest of the Canary Islands. El Hierro, despite its sleepy appearance, boasts a plethora of activities perfect for the whole family, couples and single travelers. Whether visitors are in search of a relaxed and peaceful holiday or an adventurous one, they’re sure to find what they want, and more, in this pristine paradise. 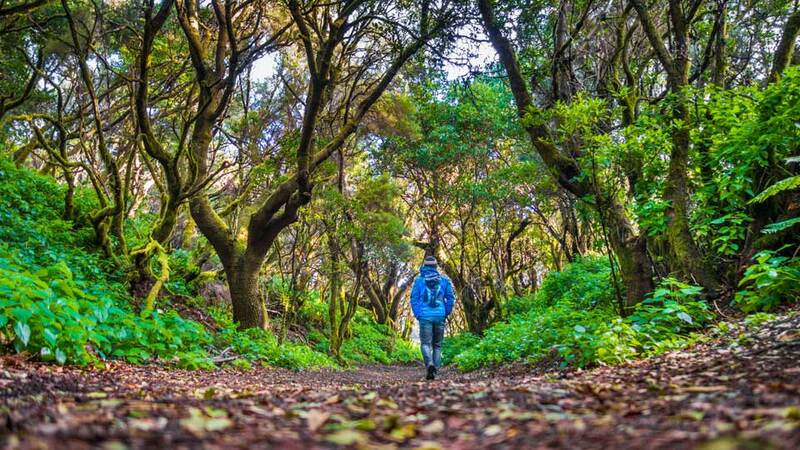 El Hierro’s network of trails, with levels of difficulties, cater to visitors of all ages. For novice hikers, the Punta Grande to La Maceta trail offers easy hike with lovely views of the northwest coastline. Meanwhile, the 9-kilometer El Pinar to La Restinga in the south allows for a close encounter with the volcanic wonders of the island. For expert hikers, the challenging dips and dives of Isora-Las Playas-Isora route are highly recommended. Although the trail may be strenuous, the awe-inspiring views of the Atlantic Ocean and Roque de la Bonanza are more than enough compensation. Besides hiking or trekking, cycling is another way to explore the rugged landscape of the island. It’s best to start in Valverde, explore El Golfo Valley and then back to the island capital. This route includes paddling across farming villages, ravishing viewpoints, and magical wind-twisted junipers. With its immense terrain, it’s no wonder El Hierro houses some of the most surreal natural marvels. Discover the enchanting El Sabinar, where enormous juniper trees are twisted and mauled by weather and age. Afterward, proceed to Mencafete Reserve, which offers walking trails along hidden caves, meandering springs, and the dense Laurel forest. For spots with a more historical approach, visit the site of the majestic Garoe Tree. Head to the nearby information center to know more about this sacred tree that once provided water to the whole island. At Las Playas Natural Monument, guests can appreciate the view of the Atlantic Ocean with the ancient landslide of El Golfo Valley dominating the backdrop. The unforgiving waves of the Atlantic Ocean is not a concern among locals and tourists, thanks to its rock-protected natural pools. Start with Charco Azul, a hidden gem that guarantees ultimate relaxation with its turquoise waters and sun loungers. For families with kids in tow, La Maceta is the ideal choice for its different sized pools. For brave souls looking for a more extreme adventure, go cliff diving at Arco de la Tosca on the western tip of the island. 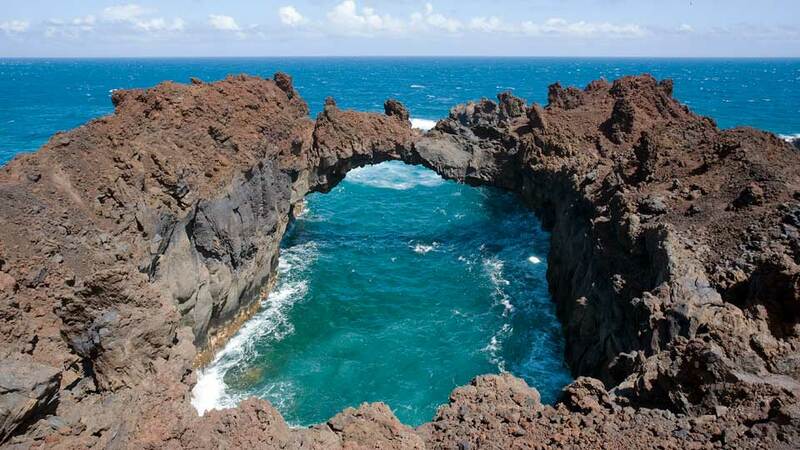 Here, ocean-sculpted petrified lava creates a secluded spot for some splashing fun in the water. On the south, Cala de Tacoron offers its own brand of amusement. Even without the confinement of rock formations, visitors can still experience the ocean at its most serene state. The coastal scene here is dramatic, with ocean blues contrasting the ochre and black hues of the sand. While on the south, why not explore some of the best dive sites on the island? Novice and professional scuba divers find themselves immersed in the rich marine life in Punta Restinga and the underwater obelisk at Baja Bocarones. For underwater photographers, the submerged volcanic mountain of El Bajon makes for a postcard-worthy shot. Step back in time at Guinea Ecomuseum, an open-air museum comprised of a volcanic tunnel and 20 traditional stone houses. Visit one of the houses and find exhibits that celebrate the island’s history. Next to the museum is the Lagartario, a sanctuary for El Hierro’s endangered giant lizards. Still looking to soak up some island culture? Venture out into Isora, where spectacular ocean views mix with peace and tranquility. Stroll around the lush green pathways and taste the most exquisite cheeses on the island. Continue to Valverde Old Town for some age-old churches, sculptures, and typical Canarian architecture. 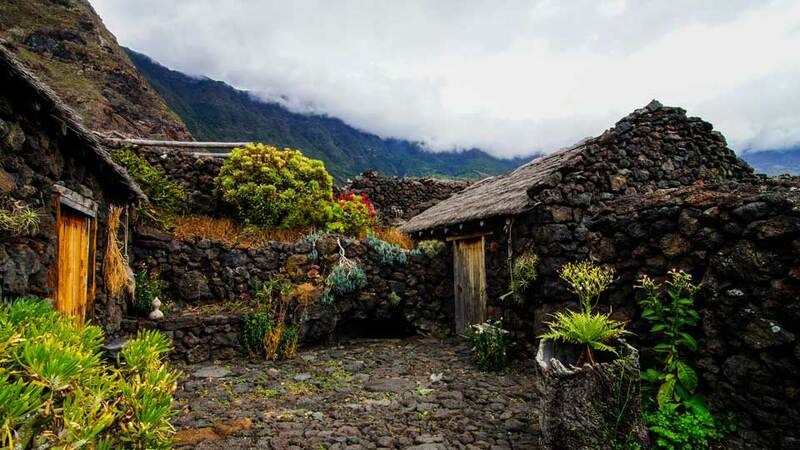 Pozo de Las Calcosas on the north of El Hierro is also a must visit, with its stone houses and thatched roofs. Finally, end the spectacular day with a refreshing dip in the hamlet’s natural pools while savoring the view of the sun bidding the horizon goodbye.